Sign-up Posters are up in your centre! I know that you haven’t heard of us! Some of the other extracurriculars are FAB and have been around for a while. You know them. You feel safe! You’re not sure about Japanese for kids that little. We’re pretty new. Enrol your child today! Support a new, local business! Support World Peace! We want children to receive the best chances to become successful, innovative adults. You won’t regret it! Your kids will love it! 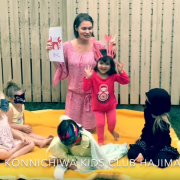 Konnichiwa Kids Club believe that world peace is possible! We believe in the kids of the world! We believe that growing up with pride in oneself and understanding, appreciation and admiration for others helps our boys and girls see their places not just in local communities but in a global community that they love and wish to care for! We believe in the power of engaging in culture, in rich experiences in fun and joyfulness! These beliefs underpin all that we do. http://www.konnichiwakidsclub.com.au/wp-content/uploads/2016/06/konnichiwa-kids-logo.png 0 0 admin http://www.konnichiwakidsclub.com.au/wp-content/uploads/2016/06/konnichiwa-kids-logo.png admin2017-01-21 01:53:262017-01-21 01:53:262017 Classes Starting Soon! This year Konnichiwa Kids Club will be running ‘Tanabata: Wish Upon a Star’ workshops at the Caloundra Music Festival in the Funky Forrest kids space. Bring your boys and girls along (or come yourself) to hear the story of Tanabata and write your name in Japanese Calligraphy on a colourful paper with your wish! Help decorate the bamboo branches with origami. We love languages for kids! We love sharing culture! 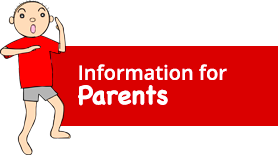 Coopers Plains CCC and Holland Park Creche & Family Centre Free Trial! Trial classes today were amazing… check out my report. And sign up your kids! They were amazing! http://www.konnichiwakidsclub.com.au/wp-content/uploads/2016/06/konnichiwa-kids-logo.png 0 0 admin http://www.konnichiwakidsclub.com.au/wp-content/uploads/2016/06/konnichiwa-kids-logo.png admin2016-08-11 05:58:362016-08-11 05:58:36Coopers Plains CCC and Holland Park Creche & Family Centre Free Trial! Smarter Kids On George in the city have been enjoying learning the names of all the colours and answering ‘… wa nani iro?’ and telling what colour things are! Mums and dads, you can practice these colour songs at home! Jump on our Facebook page to check out the details. Miho Sensei will be at Sunspace Cafe on Sunday holding a workshop. Maybe you can make a present for your dad. Noosa After School Class Venue Change! After School Class in Noosa has changed its location! Now at SUNSPACE CAFE Doonan. Join us now! Go to our Enrolments page and fill out Enrolment details. FIRST CLASS FREE! So come along to try it out! We know you’ll love it. After your trial class you can log on and choose your payment option. From this term, the class moved to Sunspace Cafe upstairs! http://www.konnichiwakidsclub.com.au/wp-content/uploads/2016/06/konnichiwa-kids-logo.png 0 0 admin http://www.konnichiwakidsclub.com.au/wp-content/uploads/2016/06/konnichiwa-kids-logo.png admin2016-07-16 23:31:172016-07-16 23:31:17Noosa After School Class Venue Change!